Big budget cuts have led to a major change in how Leicestershire Police looks after the Harborough district. Among the changes from February 9 are that Harborough will lose its dedicated Inspector, and the nearest emergency response team will be based at Keyham Lane in Leicester, 19.2 miles away. A Conservative district councillor in Harborough has said: “I think it’s a gamble”. And a Liberal Democrat councillor added: “This must be a source of deep concern”. But the Inspector of the newly-formed Eastern Counties Neighbourhood Policing Unit – which takes in 173,000 people over 563 square miles of Melton, Rutland and Harborough districts – has robustly defended the changes. And Harborough’s MP Sir Edward Garnier added: “I can understand the perception that Harborough might now be getting an inferior service. What do you think? Email us your views. The transformation of the county’s police force has been prompted by serious budget cuts. In the past four years, the force has seen £20m taken from its budget. This latest re-organisation is in response to a further £10m reduction. Conservative district councillor Bill Liqourish, who is chairman of the Community Safety Partnership in Harborough, which meets regularly with the emergency services, admitted frankly that he had concerns. “Yes, I realise Leicestershire Police have got to make cuts,” he said. “But of course I’m concerned. “The 999 calls are going to be dealt with from a hub in Leicester – they say they can respond quite quickly, but that’s a concern for me too. “We have got assurances from [Chief Constable] Simon Cole that he feels they have got this re-organisation right. The Liberal Democrat leader on Harborough District Council, Phil Knowles, said: “This must be a source of deep concern as to the level of policing in Harborough. Insp Cordiner mounted a strong defence of the re-organisation. She said plenty of police resources will remain in Harborough, that beat officers will actually have more time to deal with local concerns and that “we will continue to provide a good service after the February 9”. She added that a new Chief Inspector in the force control room will ensure resources were distributed pro-actively across the region. And in some areas, the service for Harborough will improve, she said. New dedicated Neighbourhood Teams will focus exclusively on public protection, community engagement, patrol and anti-social behaviour. The Harborough district will still have two dedicated Neighbourhood Sergeants, six dedicated Neighbourhood Officers and 14 Police Community Support Officers. And officers will still be based at Harborough Police Station in Leicester Road. She said she understood these changes make people anxious, but strongly disagreed that Leicestershire Police were taking a gamble. 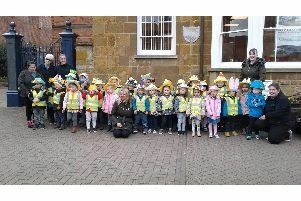 “I genuinely believe we have made sure these sweeping changes are not detrimental to the service that Harborough people will receive,” she said.